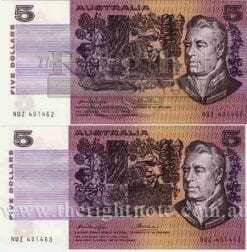 Code: TRN. 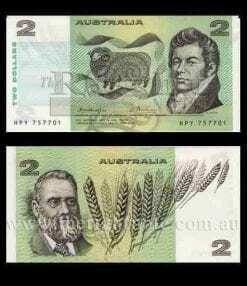 Reference: Renniks- R 406b. 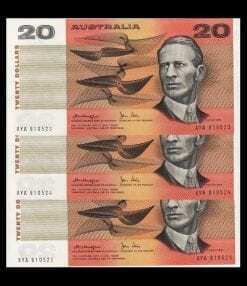 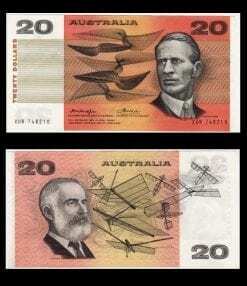 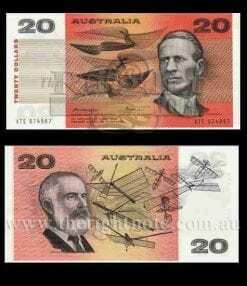 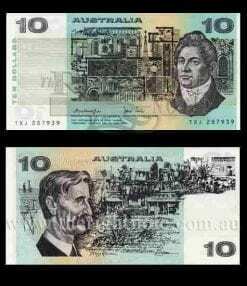 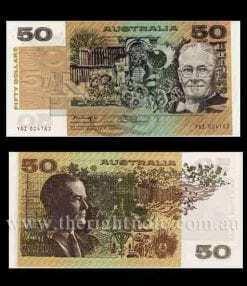 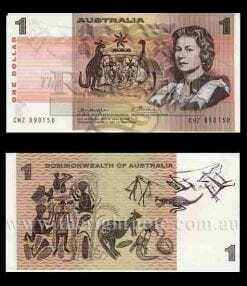 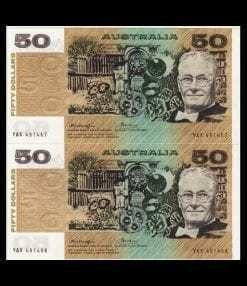 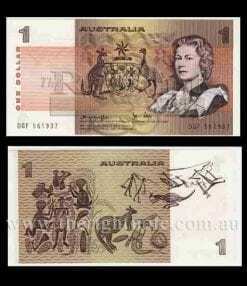 Banknote Description: Australian Decimal Paper banknote issue. 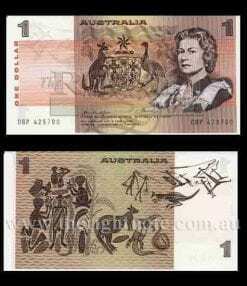 Signatures: Knight/Wheeler. 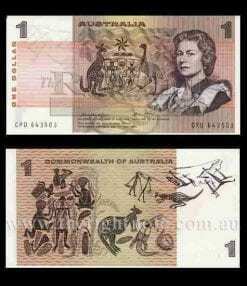 Serial Number: XRF 837700. 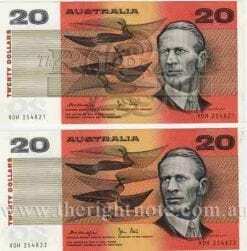 Missing right serial number. 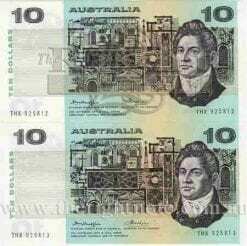 Grade: Extra Fine. 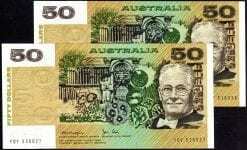 RR: $550.00. 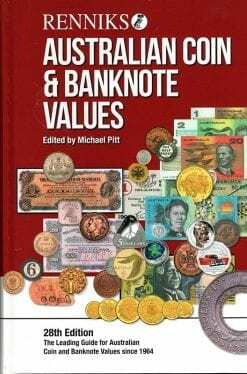 Source Renniks Banknote/Coin Catalogue. 2018. 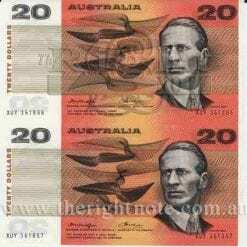 Decimal Paper Knight/Wheeler - Serial YAZ0241162 "